New York, NY Flash back to 1978: A newly elected mayor Ed Koch was promising to revitalize neighborhoods and infrastructure. But the commercial real estate industry that would create the buildings to house the new residents and businesses promised by that revitalization was still dominated by men. 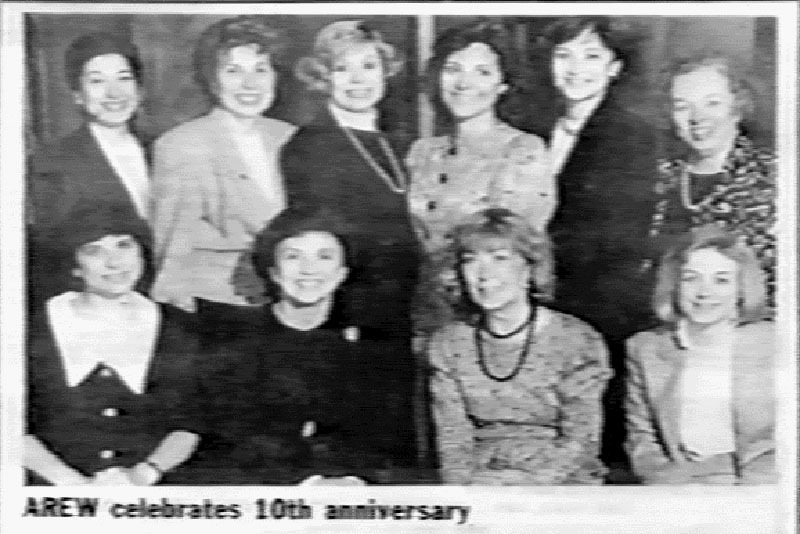 Its position as the premier women’s real estate organization in the city was a dream when Merle Gross Ginsburg, Marilyn Weitzman and a few pioneering colleagues founded the Association of Real Estate Women (AREW) in 1978, with Ginsburg serving as its first president. The membership by year-end grew to 30 women. 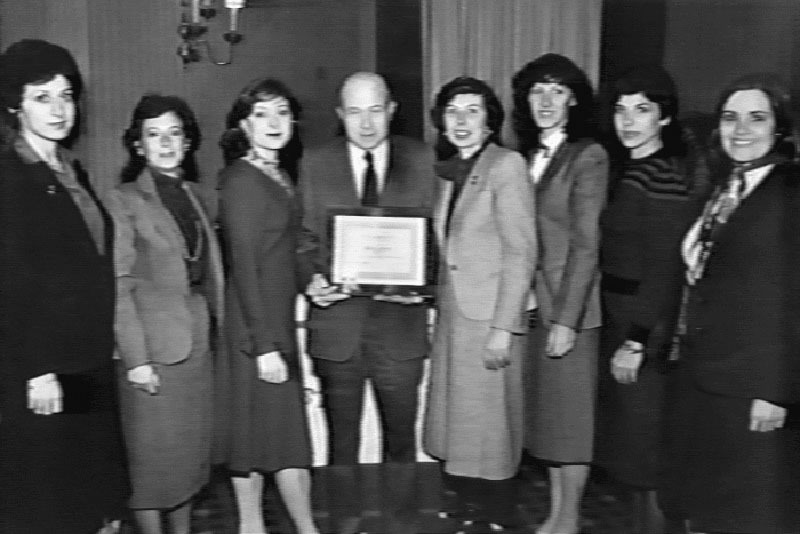 AREW continued to expand as more women entered the industry, encouraged by the establishment of a scholarship fund in 1984 to provide financial aid to women enrolled in real estate programs in New York universities. Programs encouraging networking and, especially, doing business together led to the organization growing in size and prominence. Regular luncheons provided both education and a chance to meet other professionals, and in time AREW added specific support groups to focus on entrepreneurs and other niches. “Since its founding in 1978, AREW had grown into one of the premier New York City real estate organizations, supporting its members in their professional career advancement,” Ginsburg said in 2014. 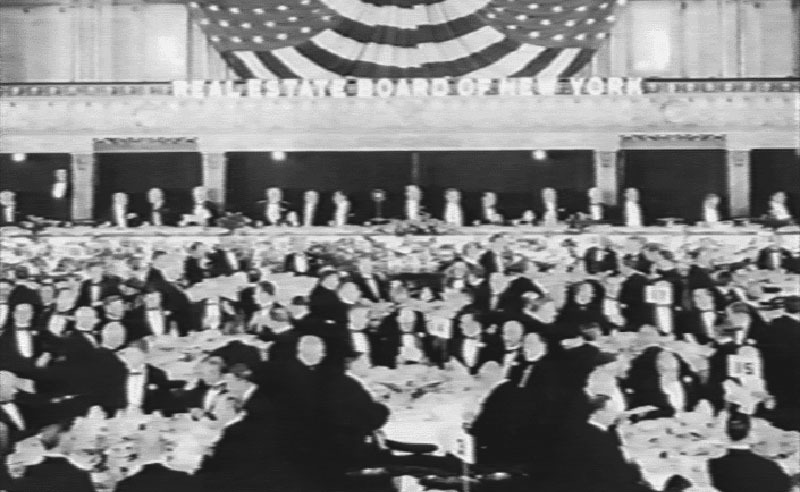 The organization collaborated with the Wharton School, a President’s Council was formed to create a brain trust of leaders, and the AREW Charitable Fund was established to endow other charitable endeavors, including “Women in Need,” a relationship that continues to this day through fundraising and mentorship programs. It was full steam ahead—until the real estate industry suffered through a terrible recession in the early 1990s. 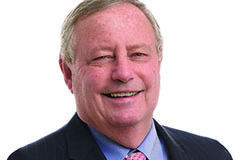 Even so, AREW remained fiscally strong and continued to serve its members through the recession, positioning it to grow again during the recovery. 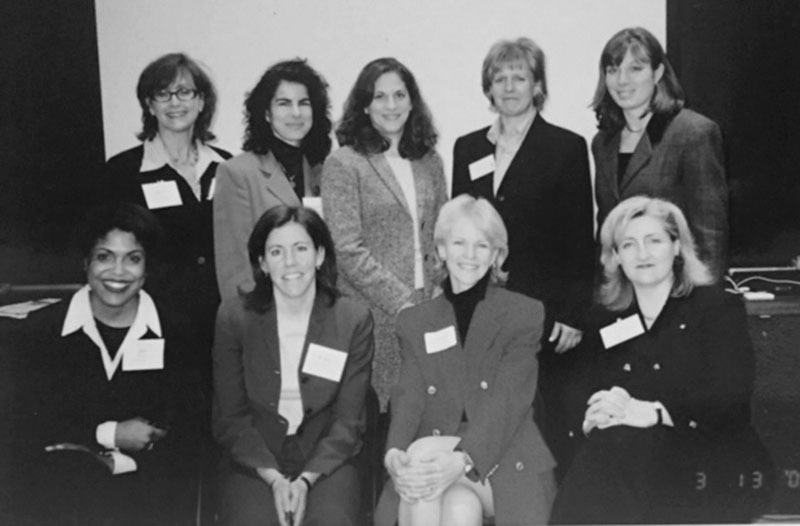 Meanwhile, the need for networking on an even larger scope was so great that by 2001, the national Commercial Real Estate Women’s (CREW) Network saw that it needed a NYC chapter. Enter NYCREW, founded by former CRE Finance Council CEO Dotti Cunningham, Marlyn Pauly and a group of commercial real estate professionals. Originally scheduled to launch in mid-September 2001, the organization delayed its formation until year-end out of respect for the 9/11 attacks. Growth came quickly throughout 2002 and beyond, as the organization held networking and educational events for all sectors of commercial real estate. NYCREW often partnered with other organizations to host these events, including, yes, AREW. Many professionals were members of both organizations. Through the boom years of the mid-2000s, through the great recession, both NYCREW and AREW continued to build a network of professionals in disciplines including financial services, asset and property management, developers, owners and operators, investment and property brokerage firms, appraisers, accountants, architects, attorneys and consultants. Members are active in a wide range of industry segments, such as retail, hospitality, mixed use, industrial, office and transportation. AREW eventually joined CREW Network, and the New York chapters’ leaders realized bringing the two organizations together would create even more opportunities for members. At the end of 2014, AREW and NYCREW members voted to join the chapters to form CREW New York, a single networking powerhouse that helps women in commercial real estate to do business together and help advance their careers. The unified chapter launched in 2015, with Christine Chipurnoi and Jane Lyons serving as co-presidents its first year. It hosted the CREW National Convention in October 2016. And the growth continues unabated. Debra Hazel is president at Debra Hazel Communications, New York, N.Y. 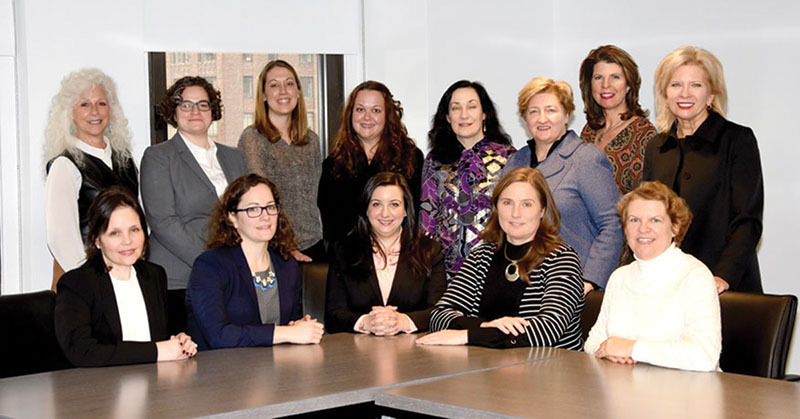 CREW New York has been dedicated to the advancement of professional women in commercial real estate through networking, education and leadership development since its founding in 1978. With approximately 300 members, CREW New York is the leading organization for professional women in commercial real estate in New York City. Membership, drawn from all levels of experience in virtually every discipline in the industry, provides a lively, noncompetitive environment of provocative interaction, exchanges of information, business referrals and professional and personal growth. www.crewny.org. That is AWESOME! I love seeing women come alive with diligent work and focus. Go ladies! I am convinced women make the best real estate investors. The spark and passion, alongside of the compassion and people skills just makes women top notch in such a people-centric arena.